So, who should be on pharmaceutical therapy for their high cholesterol levels and are there any natural alternatives? It is my opinion, backed up by solid scientific data, that the only people who significantly benefit from statin therapy to lower cholesterol are those with existing heart disease i.e. prior heart attack, stent or coronary bypass surgery or a coronary equivalent related to atherosclerosis such as an ischaemic stroke or peripheral vascular disease. The only other group where I believe statin therapy is indicated is in people with a high coronary calcium score that places them above the 75th percentile in their age group. In my cardiology practice, if a 70-year-old male has a high cholesterol and a calcium score below 200, I certainly do not commence him on therapy but reinforce lifestyle principles and may suggest some natural alternatives, which I will detail later in this article. The average coronary calcium score for a 70-year-old female is 100. Again any score around or below this, in my view, does not justify statin therapy, regardless of cholesterol levels, without a prior history of cardiac issues. It is important to realise that a low calcium score does not give you 100 per cent protection against heart problems, but certainly means your risk is so much lower. Let me make some important points about statins. Statins have been proven to reduce cardiovascular risk by somewhere between 20-30 per cent when given in average doses. High-dose statin therapy reduces cardiac risk by around 50 per cent but the trade-off is a higher side-effect rate. If, for example, a 60-year-old woman has a calcium score of 0, the 10-year risk for a vascular event (with no other risk factors present) is probably around 1 per cent and thus a 20 per cent reduction of 1 per cent takes the 10-year risk down 0.8 per cent. I put to you the question, who in their right mind would take a strong synthetic drug such as a statin for 10 years to reduce cardiac risk by 0.2 per cent? But, if you have had a prior vascular event or have a very high coronary calcium score then your 10-year risk is in the 30-50 per cent range and statins will give you some extra benefit in this situation. 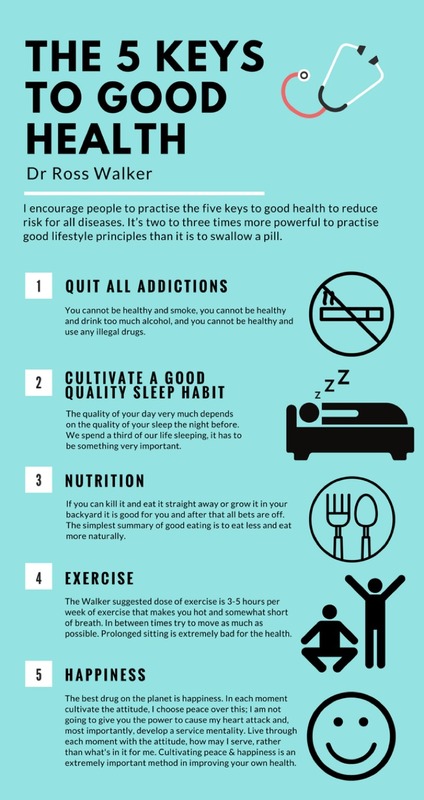 Let’s put this in to some perspective and I quote the data from the recent MORGEN trial which showed practising the 5 Keys To Good Health reduces your risk for a cardiac event by 83 per cent with no side effects. So, although I am supporter of the sensible use of statins, I purely see them as an adjunct to a healthy lifestyle. Unfortunately, there is this perception that you can take a statin, eat what you like and not exercise and the statin will give you protection. This is complete and utter nonsense. But we all know that practising healthy lifestyle principles requires effort whereas it takes you 30 seconds to swallow a pill. The best natural therapy on the market for vascular prevention in my opinion is the commercial products derived from bergamot polyphenolic fraction (BPF). BPF is the concentrated use of the bergamot citrus fruit grown in Calabria, the most southern part of the Italian peninsula. BPF products have an effect in converting small LDL to large LDL (mentioned in Part One of this series) but also improving blood vessel stiffness, improving microcirculation, reducing diabetic risk and improving fatty liver. You may not necessarily see a huge drop in your cholesterol level but will see a change in the overall profile with lower triglycerides and a high HDL indicating a move to large LDL and HDL. If you want a lower cholesterol level, take a statin drug. But, it is my clinical experience that the side-effect rate with these drugs is around 20 per cent and includes muscle problems, potential issues with memory, concentration, depression, fatigue, irritability and poor sleep. There is also potential for increasing diabetic risk and some effect on the liver. If you want good health, focus more on the 5 Keys To Good Health, take a BPF product and only use statins if you are in one of the specific groups I mentioned above. It has disturbed me for a long time that the medical profession has given people the attitude that the key to good health is lowering a number in your blood stream with a pill. This is certainly not the case and the sooner we move away from this concept, the better. What are your thoughts on this? Do you take statins? How do you manage your cholesterol levels?